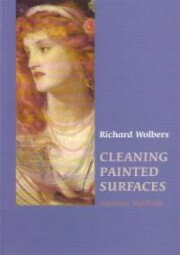 Richard Wolbers: Cleaning Painted Surfaces, Aqueous Methods | Conservation / Cleaning | English Books | Books & Color Charts | Kremer Pigments Inc. This book contributes significantly to the selection of appropriate and controllable cleaning methods for varnished and unvarnished paint surfaces. Aqueous methods are certainly worth considering for those surfaces which cannot be cleaned safely by the more traditional methods based on the use of solvents. Customer evaluation for "Richard Wolbers: Cleaning Painted Surfaces, Aqueous Methods"